Yiwu huangyuan clothing market will open at around April 15th. There are total 8 floors in this market, expect the sixth floor is for catering, pack and display area, other floors are all for business. Also, there is a 4-star hotel inside. Compared with the old clothing market-Bingwang market. 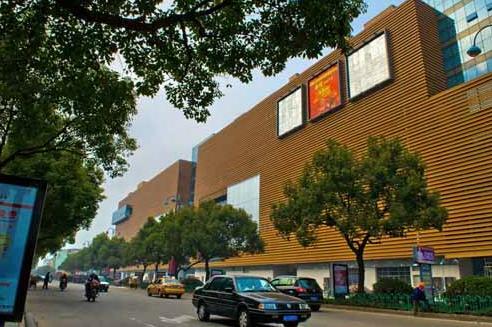 The new Huangyuan clothing market is a modern, 5-star market. It's a combation of whoseale, distrubtion exhibtion, and it attacted many well-know bands nationwide to set up exhibition hall inside. The total building area is about 0.45 million square meters, the budget for this market is around 120 million, and the construction time is about 700 days. The first floor is for cowboy-jean, floor 2 is for men’s wear-leather garments, floor 3 is for women’s clothing, sleepwear, sport wear, knitted swearter, shirt are in the forth floor, and children wear is in the fifth floor. Among all the clothing species, women wear is the most popular item. It attracted more than 5,000 suppliers to bid, but only 1564 suppliers were enrolled successfully in the end.